Formal ceremonies seem to be universal in human experience, addressing something very deep and basic in the human psyche. They tap into that vast subconscious reservoir of wisdom and strength that every human being possesses. To these qualities ceremonies add their own understandings of life and of God. They emphasize the presence of God in all things. The important transitions in our lives inevitably create anxiety—even happy transitions, such as weddings. We move from the familiar to the unknown. Our role in the community may change, which means that we will be treated differently. Sometimes it is our own sense of who we are that changes. We seek to live differently. All of these changes have an anxiety of their own. Ceremonies use the “languages” of the heart—metaphor, poetry, meditation, music, liturgy, and drama—to address those anxieties. Bypassing the sterility of logic and analysis, a ceremony evokes the power to affirm and to heal that straightforward rational communication cannot touch. A ceremony has the quality of set-apartness. Something special is happening! Words spoken in a ceremony will have much more impact than those same words would have in a more ordinary context. A ceremony brings new perspective to things with which we struggle. Many ceremonies enlist the support of one’s community. The leader often represents one’s spiritual tradition, and other members of the community may be present. Even if the ceremony is done in the privacy of one’s home or of a therapist’s or pastor’s office, others are present in the participant’s imagination. Ceremonies also involve God, whose presence is acknowledged and whose blessing and support are assured. The ceremonies presented here are down-to-earth and practical. They can easily be adapted to many situations, and can stimulate the reader to create his/her own ceremonies to meet the unique needs of the persons to whom he/she ministers. This book is a first! 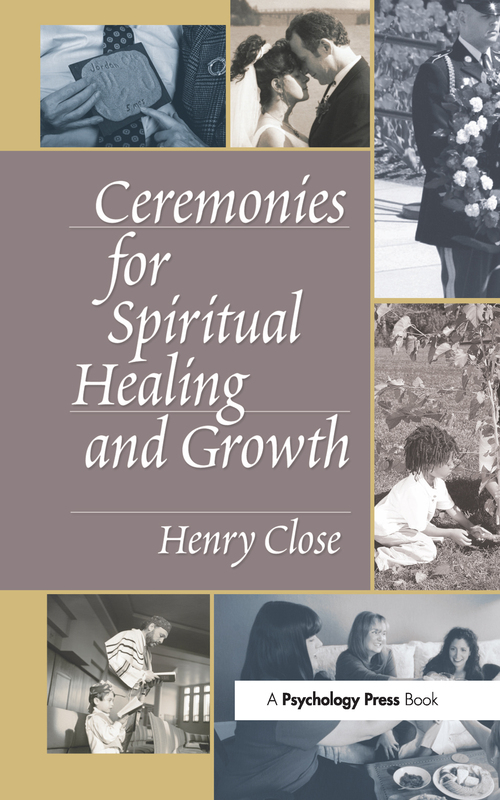 Not just a discussion about ceremonies, but a collection of ceremonies addressing a wide variety of situations! It will be innovative and insightful reading for pastors, therapists, and others for whom the “languages” of analysis and logic are not enough.